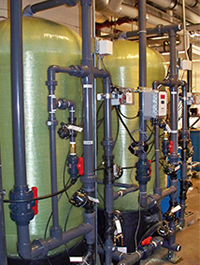 All Water Systems provides a wide range of service and maintenance programs including repairs for a large majority of water purification equipment and systems regardless of the manufacturer or who sold it. In fact, service and repair is how many companies discovered AWS as the service provider for their existing water treatment and purification systems. We also offer emergency service and equipment rentals to keep your operations running smoothly. We offer more than just “fix it now” services—we have service and maintenance programs that are specifically designed to reduce the need for emergency calls and unexpected downtime. We tailor our maintenance programs to monitor the performance of your system and equipment which can not only reduce downtime problems, but may actually extend the life and quality of performance of your equipment for years, saving you both valuable time and repair costs. When we design a maintenance and service program for our customers, we take into account the proper amount of testing and frequency checks to fit the usage of your water purification system. We offer a substantial in-house parts inventory and have the ability to retrofit obsolete parts. By having a full understanding of both your needs and your operational process, we can factor in critical points and frequencies to monitor and ensure the system and your operations can run with less downtime though pro-active maintenance. We also offer service and maintenance training and back everything with our phone support services. The bottom line is this—because we take the time to understand your system, application, and usage, we can build a service and maintenance program specifically tailored to meet and exceed your needs, while saving you time and money through ensuring long term optimal performance and reducing downtime due to unexpected breakdowns. 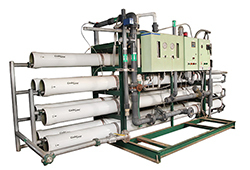 For more information about our water purification system service and maintenance programs call us at (412) 824-6560, or click here to contact us.